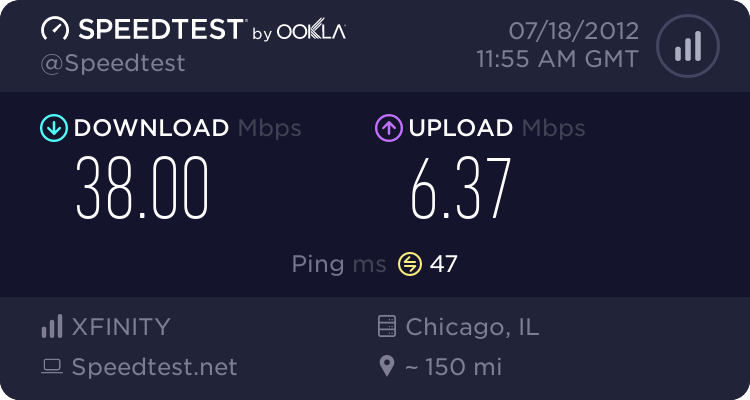 General Information/Discussions ⇒ Thank you, Comcast. 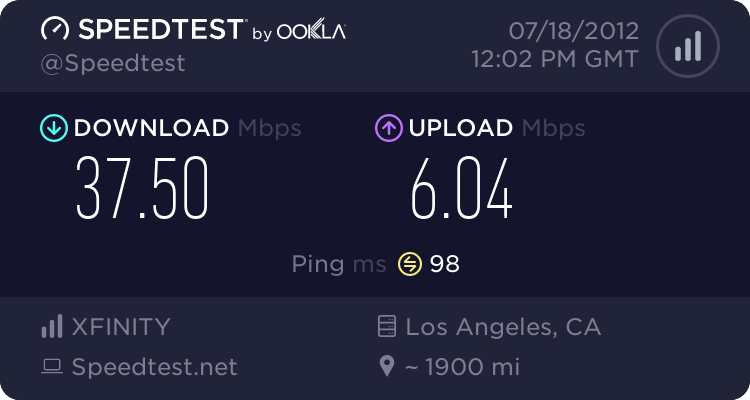 So after a complete loss of internet last night while in the middle of some awesome Meatgrinder gaming...things got better in the internet department at my house. Apparently the Comcast elves were busy during that 90 minute outtage. Holy crap, I'm not getting anywhere near that speed. 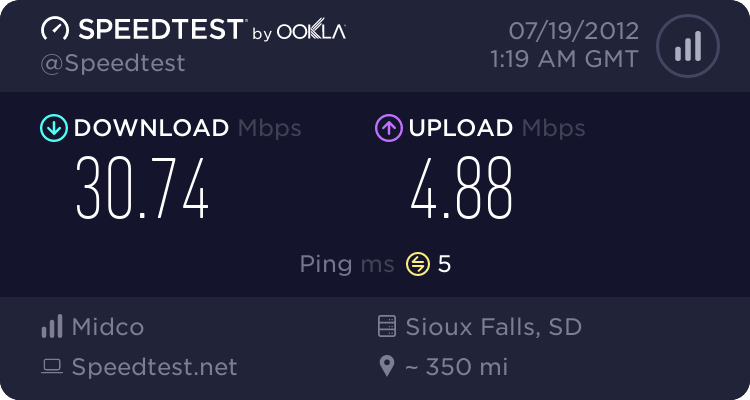 I should check if the modem they gave me is even DOCSIS 3.0. 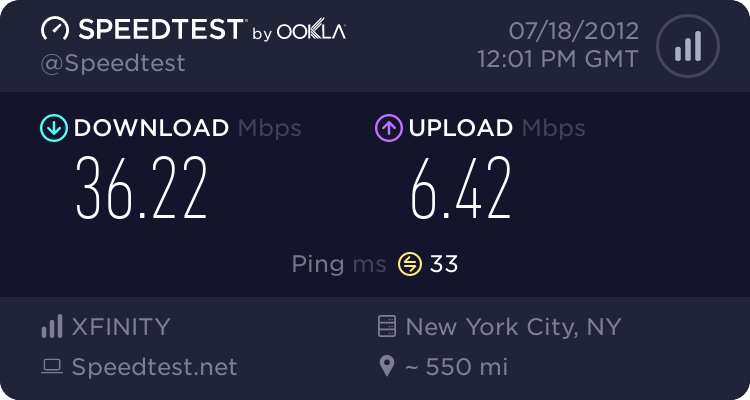 I really miss FIOS. Too embarassed to post mine. Probably never will. Not too shabby for South Dakota! 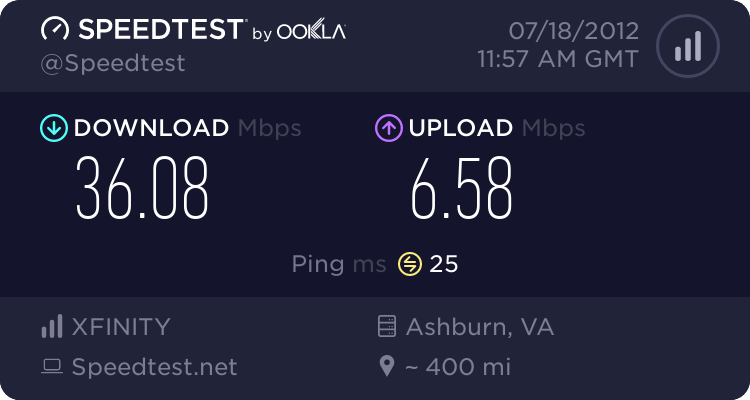 I just checked with Comcast, and I can go from "Performance" 20Mb, to "Blast!" 30Mb for about $10 a month more. Which is about $58 or $59 a month in my area. 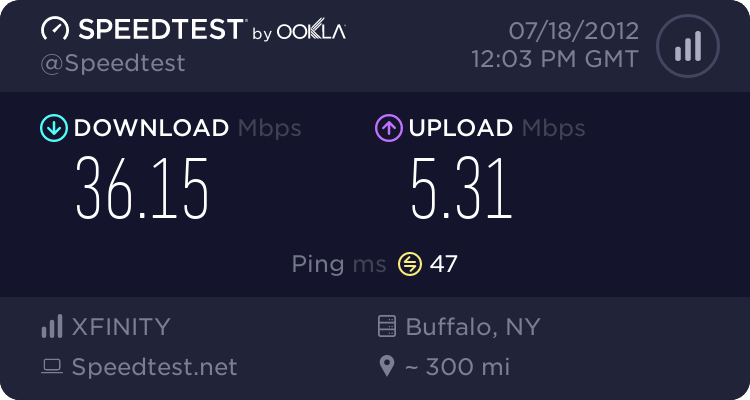 Because we watch lots of Netflix, it might be worth having that extra speed, even though it wouldn't likely affect my latency. Any sage advice before I bend over for a bigger bill? 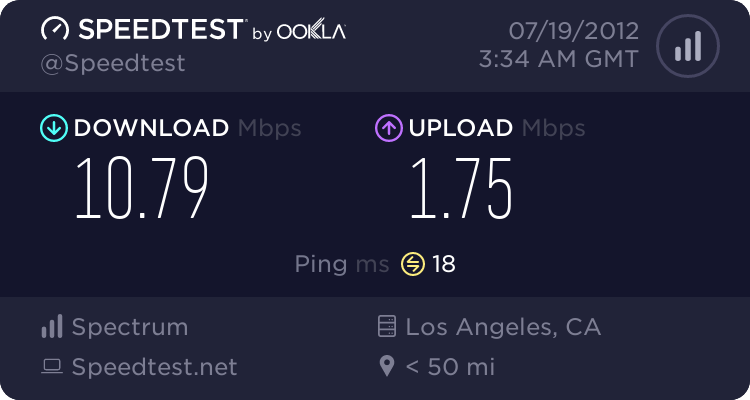 Maybe I should check with the local office and attempt to re-negotiate my Internet/Cable bundle? Woohoo, get the ice for these flames!! Is that the 56K flex modem ya got there? KungfuBeer wrote: Woohoo, get the ice for these flames!! I ran on 8/mb down and 1/mb up for a couple of years until recently. No issues unless the wife was uploading pics.